* NOTICE: The HandResearch Nail Tutor Tool is still in development - currently this tool discriminates 57 fingernail disorders in the nails. 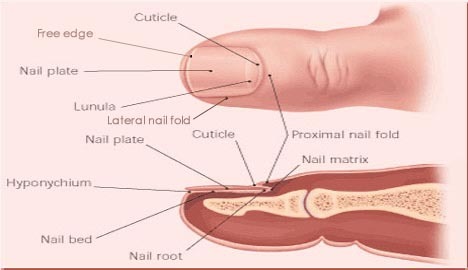 The NAIL TUTOR tool is an aspect of Medical Hand Analysis & Multi-Perspective Hand Reading. 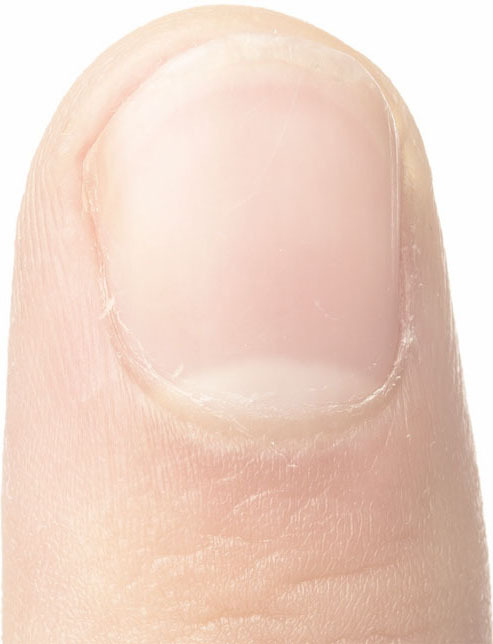 The purpose of this tool is to help you identify the nature of your fingernail disorder. The section fingernail disorders presents a more comprehensive overview of the most common fingernail abnormalities. • Yellow nails + yellow nail syndrome remedies! • Psoriasis nails: e.g. pitting, thickening, discoloration, horizontal ridging, & infections! • Diabetes nails: e.g half-white half-pink, blue lunula, yellow nails, infection & spoon nails! • Rheumatoid arthritis nails: uneven growth, beading, clubbing, microinfarcts, reddish lunula! • Schizophrenia & nails: e.g small & curved nails, visible nail fold plexus, eponychium over lunula!